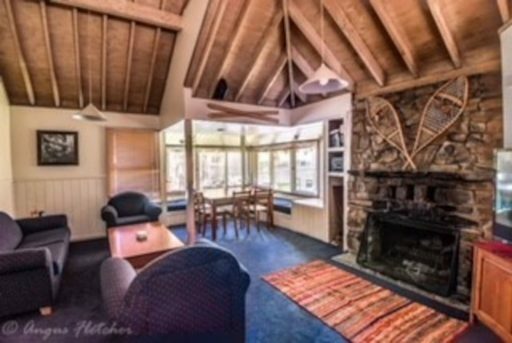 This smart, single level chalet has great views, warm & inviting decor, a north facing deck, central heating and lots of space. 3 bedrooms, sleeps 8, has a large well equipped kitchen including a pod coffee machine. 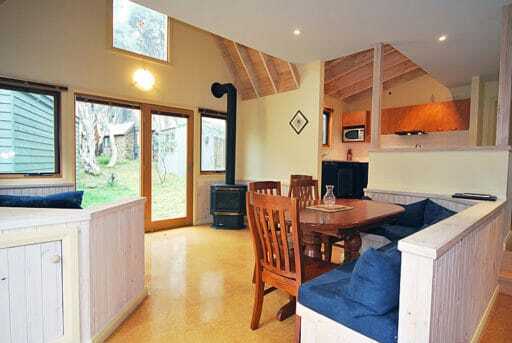 The dining area looks onto the deck and the comfortable living area looks onto the reserve at the back of the chalet. There are two sets of bunks in the bunkroom and a queen bed in the second bedroom. The large master bedroom has a great window seat, a queen bed and an ensuite. Perfect for families with small children - no stairs to climb and a gate on the front access. Blue-Bird is one for families. Located outside the shuttle bus stop. Only minutes to walk to restaurants, cafes, bus stops and the Onsen Day Spa. 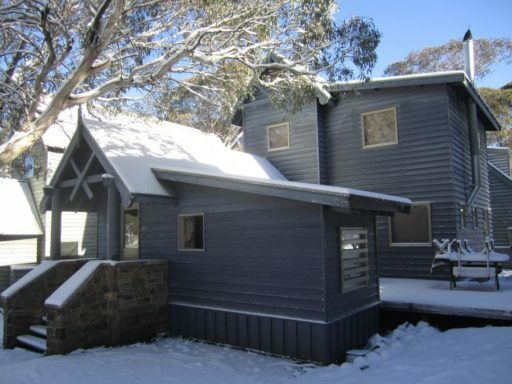 This well located Chalet can accommodate up to 8 guests in 3 bedrooms. This Chalet has been re-decorated with the family group in mind. X Box, DVD player, Nespresso machine and flat screen TV are a few of the modern conveniences Blue Bird has to offer. 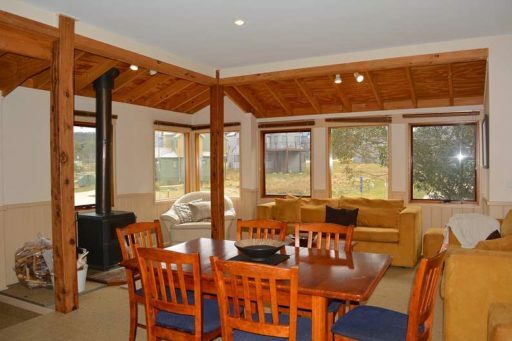 Centrally located Glencoe Chalet is a spacious and tranquil chalet nestled in a quiet street. Set over 3 levels, the ground floor includes a large open plan Dining and Living area with a feature combustion fire place and a generous, fully equipped kitchen. A cozy corner window seat perfect for snuggling or relaxing with a good book and glass of wine. This area opens up to the lounge seating where you can relax and watch your favorite movie in comfort on the large TV. 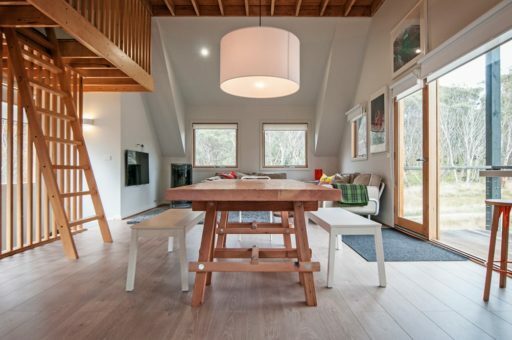 This spacious chalet is as visually pleasing internally as it is externally! Centrally located near a treed reserve to the side, this property is close to the local ski run and to the local restaurants. 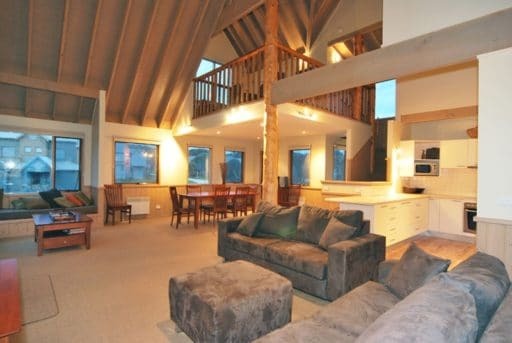 This luxurious 3 bedroom chalet features sensational views of the nearby Alpine National Park from the lounge. A fully equipped kitchen, large open living and dining areas as well as separate loft leaves plenty of room for the family to rest and play will make this a very special holiday! This recently completed 3 bedroom chalet is unique to Dinner Plain in that it boasts all that you would expect from a contemporary home located in inner city Melbourne. The loft style high ceilings, modern furnishings including a large reclaimed Oregon dining table as well as all new appliances make for an extremely comfortable stay. 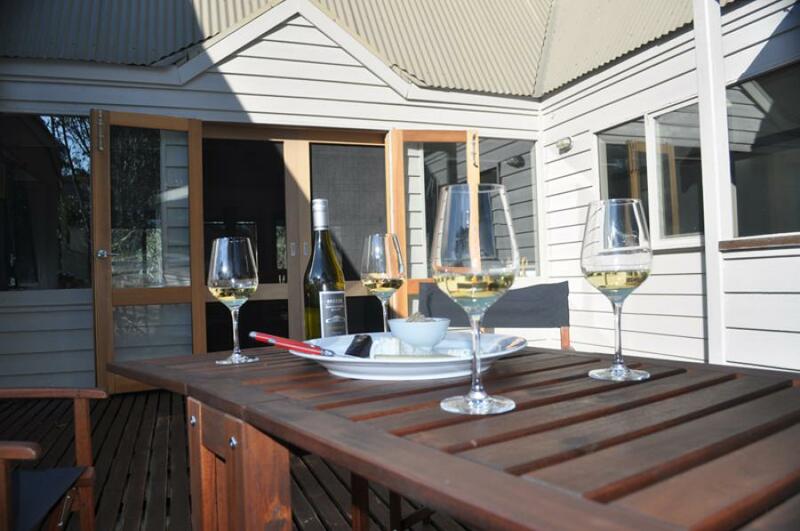 Feathertop is a much loved and cared for property that has never been on the holiday market. 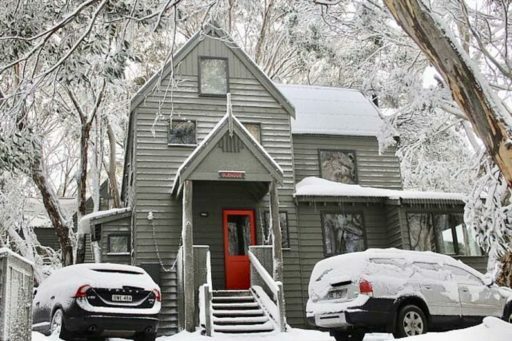 It is located a short walk from the Dinner Plain Snow Play Park and the shuttle bus to Hotham. Just a few minutes walk from the restaurant, bars and shops, the house is ideally located for family holidays at any time of the year. Sleeps 8.